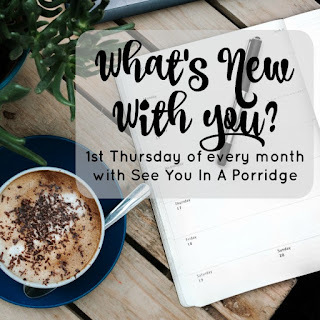 Today I have a guest post by Erin, who is basically me but opposite. 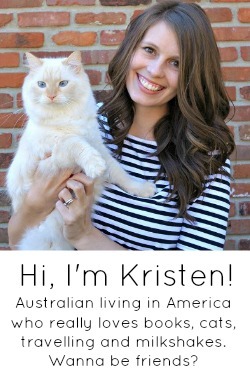 What I mean by that is I'm obviously Australian and I live in America, and Erin is American living in Australia. Sure, she's from Texas and I'm living in Kentucky, but that's just splitting hairs, we're basically twins. 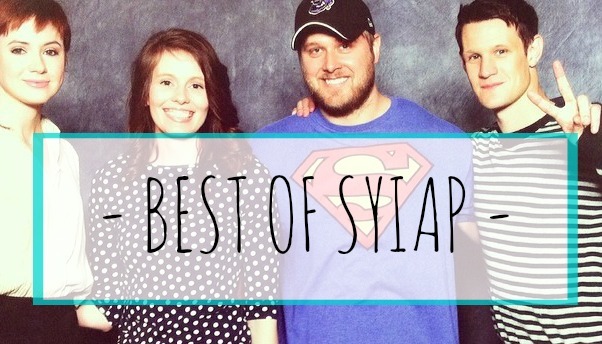 I highly suggest you check out her blog if you haven't already! Hi there. 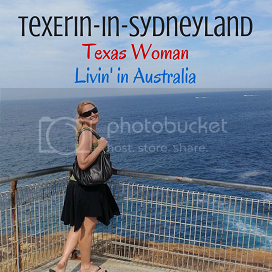 I’m Erin, a Texas woman living in Sydney, Australia – hence, the clever blog name: TexErin-in-SydneyLand. Kristen and I share a love of books, kitty cats, and swapping stories about living in a country that is not our own. While Kristen is gallivanting around Europe, c’mon along on a little journey that includes facts, myths, stereotypes, and truths about Australia and Texas. Brought to you by the good celebrities of Australia and Texas…..join me. Australians say “g’day”; Texans say “howdy”. Australia is the only country in the world that is also a continent; Texas is the only state in the US that was also its own country (from 1836-1845). According to land mass statistics, Australia is about 11 times the size of Texas. 28% of people living in Australia were foreign born – largest populations United Kingdom, New Zealand, China, India, Philippines; 15% of people living in Texas are foreign born – largest populations Mexico, Central America, South America, Asia, Africa (countries not specified); you’ll get better fish & chips in Australia and much better Mexican food in Texas. BUT – this statistic is pretty skewed because there are also an estimated 1.2-1.9 million illegal immigrants in Texas; Australia has approximately 58,000. After high school, if you go to get a Bachelor’s degree (or Master’s or Doctorate), Australia says you’re going to university or “uni”; Texas calls it going to college. There are virtually no sports teams in Australia’s university system; Texas wouldn't know what to do with itself if there were no college football games. Australia has Medicare, a publicly funded universal healthcare system plus private healthcare is also available; In Texas, 24% of residents are uninsured. Taxpayers, Texans with insurance, and employers who offer healthcare end up paying extra to care for the uninsured. Australians do not understand why Americans don’t have universal healthcare. In Australia, 61% report to be Christian while 22.3% report “no religion”; In Texas (depending on whose report you believe) anywhere from 83.3% - 93.7% report to be Christian. Both have small populations of Buddhism, Hindu, Islam, and Judaism. I've explained to Australians that where I grew up, I knew people to be Baptist, other Protestant, or Catholic. I never met a person who admitted to be an atheist until I was in my late 20’s or early 30’s. The world’s largest cattle station is in Australia (Anna Creek) and is 30,028 square km (almost the same size as Belgium); The largest cattle ranch in the US is in Texas (King Ranch); it’s one/tenth of the size of Australia’s. You can get great steaks in both Australia and Texas. The homicide rate in Australia is 1.2 per 100,000 people; In Texas, the homicide rate is 4.3 per 100,000. You’re more likely to get murdered in Texas. In Australia, it is estimated that there are 15 guns per every 100 persons; In the USA, there are 90 guns per every 100 persons; In Texas, there are approximately 51 million firearms (remember, the population of Texas is close to 27 million)…Texans like their guns. In Australia, it is not a given that there is a washer & dryer, dishwasher, refrigerator in an apartment or house that you rent; in Texas, I never rented a place without any of these appliances. In Australia, it is not a given that an apartment or home is going to have air conditioning; In Texas, Houston has been called “the most air-conditioned city in the world”. I’m from Houston. I didn't do well in my first couple of dwellings without a/c. I did not cope well at all. Australians really aren't that fond of people calling them ma’am or sir; In Texas, it means that you weren't raised right if you don’t use these “terms of respect”. Australians like to curse. A lot. It is even common to hear the big “see-you-next-Tuesday” bomb on a regular basis; In Texas, it is considered impolite to curse in most public settings; many men don’t curse around women; women can be looked down upon if they regularly use curse words. Australians Mel Gibson (1985), Hugh Jackman (2008), and Chris Hemsworth (2014) have been named People Magazine’s Sexiest Man Alive; so have Texans Patrick Swayze (1991) and Matthew McConaughey (2005). Hot men? Advantage Australia. Behold the beauty of Hemsworth DNA. No gif or meme needed, but it is XL so you can get a good look. You're welcome. According to annual Maxim’s Hot 100, three Texas born women have been listed #1 – Jennifer Garner (2002), Jessica Simpson (2004, 2008), and Eva Longoria (2005, 2006). No Australian women have topped this list. Also, Beyonce. If I could look like any woman in the world, I would choose Beyonce. Advantage Texas. Former Prime Minister was once listed in the Guinness Record Book for “skulling” (chugging) 2.5 pints of beer in 11 seconds. In 1902, Australia was the 2nd country in the world that gave women the right to vote. The current Aboriginal population is approximately 500,000 and have been in Australia for approximately 50,000 years. Australian mines (are large, lucrative industry) cover less land mass than Australian pubs. Texas came from the Native American Hasinai people from the word “Tejas” meaning “friends” or “allies”. The Texas Medical Center (Houston, TX) is the world’s largest medical complex with over 7 million patient visits per year. 75% of the world’s Snickers bars are made in Waco, Texas at the M&M/Mars factory. The world’s largest rose garden is in Tyler, Texas with 38,000 rose bushes in over 500 different varieties. Did you learn anything fun/new about Australia or Texas? "Texas wouldn't know what to do with itself if there were no college football games." Truer words have never been spoken. I think it's interesting just how alike Texas and Australia are, but obviously some of the difference are huge (cursing and guns were the most prominent to me). So many great facts and they sound pretty close in some areas. The Helmsworth brother yummy, you can have your Mel Gibson though, barf. College football and guns, i totally associate with Texas. Some of those stats literally made my jaw drop! Also, here in NJ, I've never rented an apartment WITH washer/dryer/dishwasher. Of course many have them, but not the ones I can afford in this town haha. 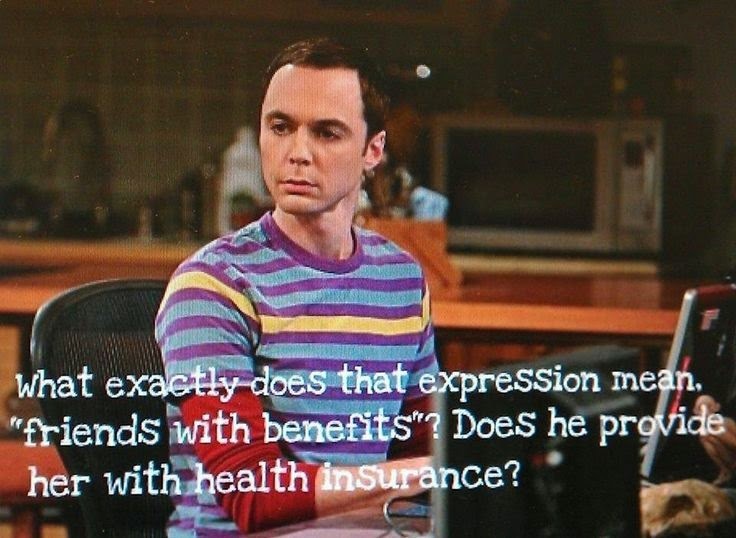 Also, trust, a lot of Americans also don't understand why we don't have universal health care! How much did I love this post? SO MUCH. I love all kinds of nerdy facts like this. So many facts!!! I learned lots of new things!!! And also, your use of Big Bang Theory gifs wins my heart! I love that show. It doesn't surprise me that Texas has so many guns. I think any state in the south would give up if there was no college football. Such a fun post! I met some Aussies when I was on vacation in Europe and they taught us a lot about their culture! We learned about skulling and doing a sockie (don't ask..it's gross). I would love to visit Australia some day! I had no idea that Texas used to be it's own country. However the appliances part... I live in Washington and my current home doesn't have a washer or dryer. Or dishwasher in fact. We do have a fridge though. And living in California, many of the apartments didn't come with washer or dryer or dishwasher so I've come across that a few times. I'm a pro at washing clothes in my sink ha. I love this so much! So interesting to learn more about Australia (I love that cube-shaped wombat poop made it. Haha). OMG this is perfect!! I love it and am sharing immediately. Oh my gosh! This is the BEST blog post every to grace your blog. Right?!!? Okay...maybe I'm *slightly* biased. In all seriousness, thank you so very much ... like heaps thanks (that makes no sense) for letting me guest post. I know it sounds a little silly, but I really am honored. 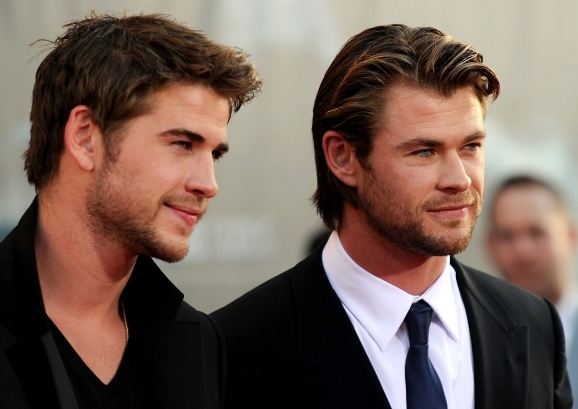 Mmm the hemsworth brothers! Also the population statistic shocked me! I really want to visit Australia! Why are the flights so damn expensive? All the guns scare me to death! :) And those huge cattle ranches make me incredibly sad! In Germany I do not know anybody who has air-conditioning. It is not common there at all. And now I feel like I need to watch Dirty Dancing tonight!